ROME -- Despite its size, Monte dei Cocci, or Monte Testaccio, is not immediately noticeable to the unknowing passerby. The 118 feet (36m)-high hill is one of the largest spoil heaps found anywhere in the ancient world and the first regulated dump of the Roman empire, now covered almost entirely in fragments of broken amphorae dating from the time of the Roman Empire. 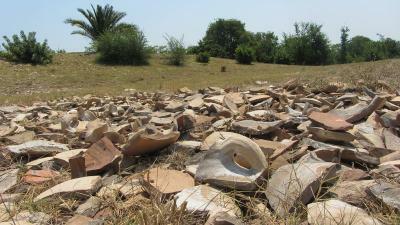 It is one of Rome's famous hills, once the city's first working-class quarters and now an archaeological site. The hill itself is untamed, covered in the chalk remains of Roman houses and broken pieces of what were large clay oil pots. The abundance of the remnants is testimony to imperial Rome's enormous demand for oil, which they were importing around 7.5 million litres of each year. The city was the world's largest at the time, with a population of at least one million people. The site stopped being developed when Rome's Aurelian walls were built between 271 and 275 AD, and the Roman empire began its slow decline. Despite this, the hill remained an important part of the city; in the Middle Ages the site was used for Christian sacrifices during carnevale, when bears and pigs were eaten, and later, during the Second World War, caves inside the hill were used to hide Jews and anti-fascists. 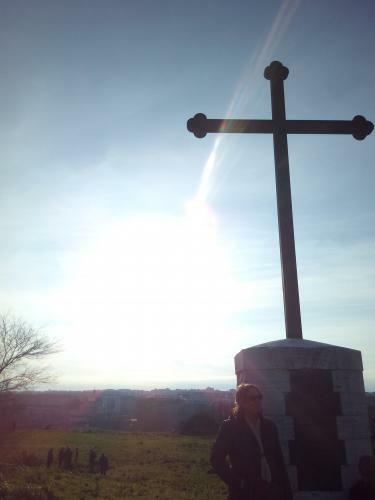 Soon after the war, in which bombardments caused a destruction and scattering of many of the artefacts, the hill was closed to the public to protect it from ruin. It is now only accessible by special permission from the Comune of Rome, which has decided that the visits cannot exceed a one hour time period and 30 person maximum group. A petition has been launched to this end on Change.org by Irene Ranaldi, urban sociologist and president of the cultural association 'Ottavo Colle', asking that the site be reopened to the public. "[The site's] inaccessibility is an offence not only to memory, but also to the pleasure of being able observe, from its summit, another side of Rome, that of workers and of labourers, that of the industrial panorama of the Ostiense and Marconi zone, of the ex Mattatoio and the Campo Boario," Ranaldi said. 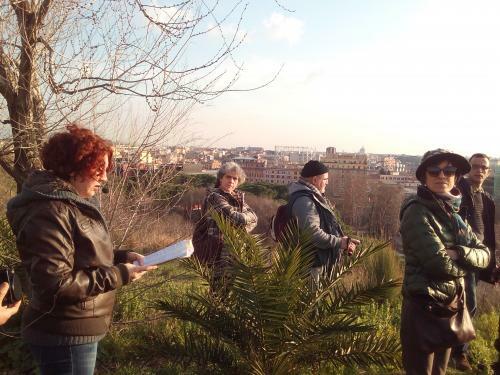 Through the 'Ottavo Colle' organisation she offers occassional guided group visits of the site, offering an insight into the history and development of the ancient hill and allowing the discovery of a little-known side of Rome. The top of the hill boasts an extraordinary panoramic view of the city, from Piramide and the Roman forum on one side to Trastevere and beyond on the other. Details of the 'Ottavo Colle' organistion can be found here, and the petition at https://www.change.org/p/apriamo-il-monte-testaccio-a-roma.